Johnson accused those who led the campaign to leave the EU of "rubbing out" her children's prospects "of living and travelling and working in Europe". So now it's the 31st of October. Does anyone, whether they're a Brexiteer or Remainer, seriously believe that Britain will have exited the EU by the latest 'deadline' agreed by Europe? British cabinet officials are plotting to oust Prime Minister Theresa May, reports claim, over her handling of the Brexit process, while hundreds of thousands have joined an anti-Brexit rally in London; meanwhile, May is set to call for a third vote on her proposed Brexit deal. 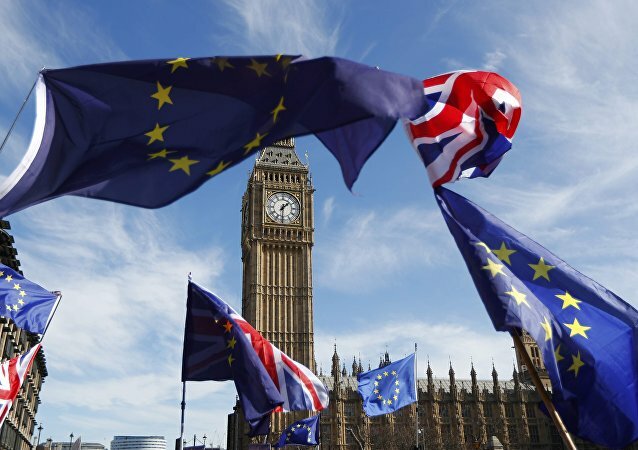 British MPs have ruled out the UK departing the EU without a deal in any circumstances, leading to speculation that either Prime Minister Theresa May's weak proposals will be accepted in the House of Commons, or Brexit will be delayed and even cancelled altogether. Is a betrayal of the British people on the cards? 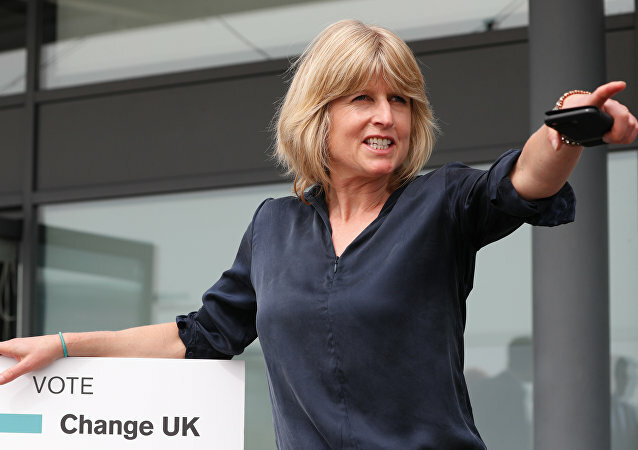 Miss Soubry has waged an unremitting war on Brexit since its inception in 2016, and has repeatedly called for the holding of a second referendum, or ‘people’s vote,’ causing many to see her as disconnected from the wishes of ordinary Brits, including her own constituency of Broxtowe, which voted to leave by 54.6%. With 60 days to go to our Freedom Day, violence and terrorism on the Northern Irish border raises its ugly head and those at the top of the Metropolitan Police are wading in to dictate what kind of Brexit we should have. If Plan A on Brexit Fails What Next for Theresa May, for the Tories and for UK? Theresa May's time as prime minister could be in measured in hours for she is almost certain to go if she cannot get her Brexit deal past Parliament. But what could happen between now and March 29? As we head to Freedom Day over the past week more daggers have been plunged into democracy. We are seeing the last thrashes of anger, resentment, derangement, hatred and lies to stop Brexit. Another day, another hammer blow to British Prime Minister Theresa May’s hopes of getting her Chequers Plan through parliament, with the DUP now chiming in by arguing that the deal is unsatisfactory. British MP’s have called on the Brexit process to be paused amid an investigation into the funds spent by the leave campaign. The Electoral Commission has said that Aaron Banks’s company was not the source of the funding for the £8 million Leave campaign. 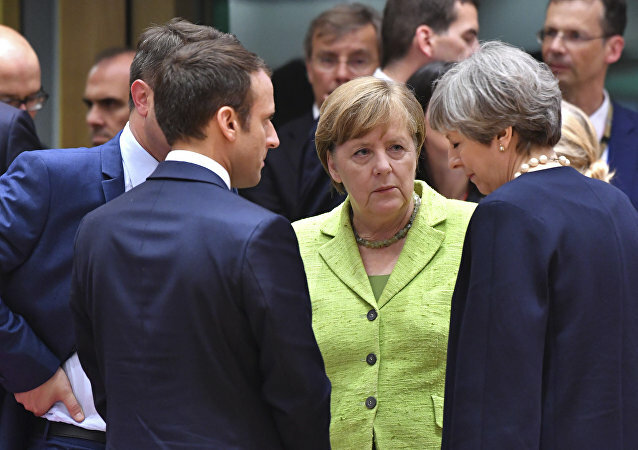 Calls for a new UK-EU referendum have intensified as Britain's Prime Minister Theresa May continues to defend her Brexit strategy at the informal summit in Salzburg. However it's not just some EU leaders calling for another Brexit referendum - dogs are joining in as well. 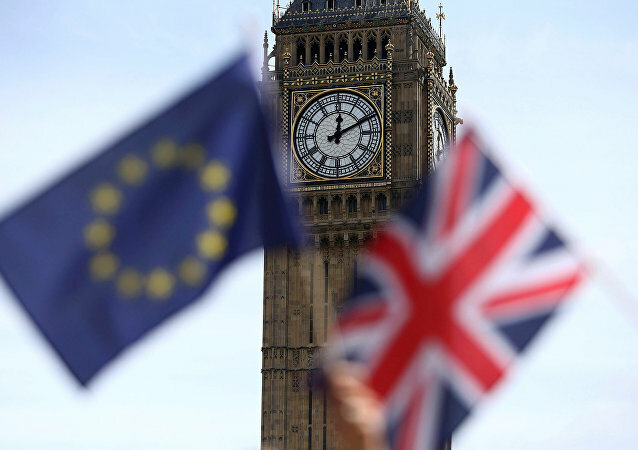 Brexit sentiment has taken a sharp downturn since the 2016 referendum, according to a major new poll and is thought to have links with growing doubts about Britain's departure from the EU in the Labour headlands in the north of England and in Wales. Kate Hoey, one of a handful of Labour MPs who voted with Theresa May's government on the Brexit bills this week, is facing deselection by her local Labour Party. Sputnik profiles the maverick MP and finds out why Remainers want her out. The reported reason for the EU’s lack of faith in the negotiation prospects has been division at the heart of Westminster. Continuing pressure on Ms. May comes on the heels of a rare victory with royal assent for the EU Withdrawal legislation. The Prime Minister has been given until Autumn to achieve a final Brexit agreement with Brussels by members of her party eager to maintain close links to the continent. Arron Banks, who bankrolled the Leave.EU campaign to the tune of £10 million, and the executive director Andy Wigmore, have been giving evidence to the inquiry into Fake News in London. Sputnik reporter had a ringside seat as the pair jousted with MPs in a generally good-natured exchange.